At the start of this year, Warner Bros and NetherRealm abandoned the PC version of Mortal Kombat X, a port that wasn’t super hot to begin with. While the console versions would continue to receive updates and DLC, PC players were left with the one thing worse than pulverized ribs or a spine used as a jump rope: a broken heart. Despite outcry, WB and NetherRealm remained largely silent. Over time, Mortal Kombat X’s Steam reviews tanked. WB’s spotless reputation—having only one of the worst PC port fiascos in recent video game history on their record—was indelibly tarnished. Anger boiled over into rage, and then rage sizzled for a while until, finally, it cooled into… nothing. Inert hopelessness. People gave up and moved on. When online multiplayer is a major component of your game, that’s no good. In late-August, however, WB and NetherRealm suddenly started talking to PC players again. They began beta testing the PC version of Mortal Kombat XL and a handful of other updates that would once again bring PC to parity with consoles. Today they’re finally live. The patch weighs in at a whopping 23 GB, and it includes tons of balance changes, performance improvements, fixes, and sparkly new netcode for multiplayer. All PC players also get the Medieval Skin Pack and The Pit environment for free. There’s also now a PC version of the Kombat Pack 2 DLC, which offers four new characters, but you’ve gotta pay for it. Some people aren’t super happy about that, given how long they waited. But hey, at least most of the new stuff is free. Some players are reporting performance issues, but still: if you uppercutted your PC version of Mortal Kombat X into a pit of spikes and tattoos and despondent guitar music, now’s the time to fish it out. Here’s hoping WB and NetherRealm actually stick around this time. Mortal Kombat co-creator Ed Boon has announced via his Twitter account that developer NeverRealm Studios is working on a balancing patch for Mortal Kombat XL. The patch comes out on October 4 (which is the PC release date), but details of the patch’s actual contents will be revealed the day before on October 3. XL is a version of Mortal Kombat X featuring the characters from its two Kombat Packs, such as the xenomorph from Alien. For more on MKXL, check out our Test Chamber for the title. 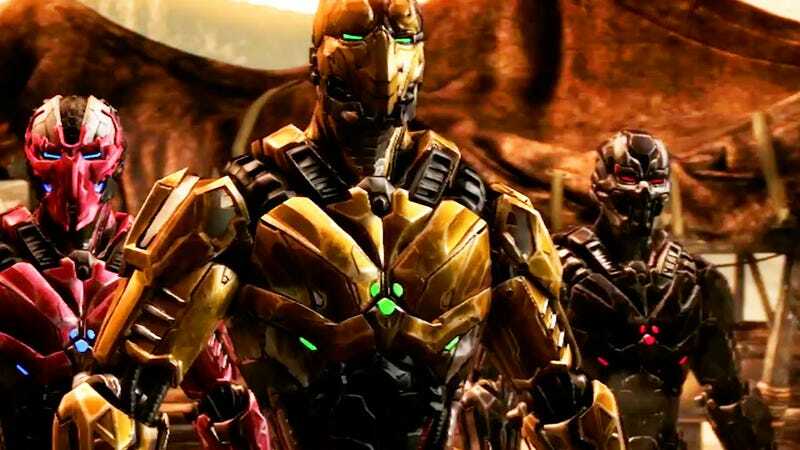 While speaking with Ed Boon at the Mortal Kombat X Pro League Finals in Los Angeles, we got on the subject of the guest characters that have appeared both in the Mortal Kombat and Injustice series. I was able to get a little insight into how the team decides which guest characters to include as DLC for NetherRealm’s fighting games, as well as whether we’ll ever see the studio tackle a fighting game based on horror film icons. Since the 2011 Mortal Kombat, NetherRealm has included several horror movie icons as DLC for the Mortal Kombat series. Since the release of that game, we’ve seen appearances from Freddy Krueger from Nightmare on Elm Street, Jason Vorhees from Friday the 13th, Alien from Alien, Predator from Predator, and Leatherface from The Texas Chainsaw Massacre in the series by way of DLC. For more from our conversation with Ed Boon, you can check out our in-depth chat about Injustice 2’s long-term vision (including post-release DLC), as well as our humorous discussion answering our burning questions about Mortal Kombat. While Boon doesn’t say this is a thing that is happening, the horror film icons that have appeared in Mortal Kombat to this point have been awesome additions and his openness to this idea is exciting. I’d love to pit some more of horror’s greatest and most gruesome threats against each other. 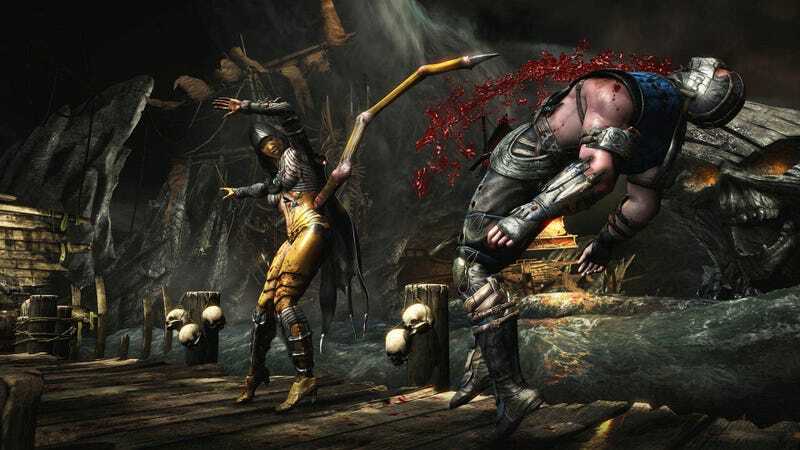 Fighting game enthusiasts have been going over Mortal Kombat X with a fine-toothed comb ever since the game’s first iteration almost a year ago. Tons of secrets and easter eggs have been discovered but fresh ones keep popping up. It’s been one big gory treasure hunt. NetherRealm have pumped out a bunch of periodic updates for their hit game over the last 12 months. Each new chunk of code gives the game’s fanbase a reason to fire MKX back up again and track the changes to movesets and finishers. Brutalities can be the trickiest to uncover since they require specific conditions to have the inputs execute into bloody explosions but players keep finding them, as seen in the videos here. The injection of new kill moves is just another way that Netherrealm’s focusing on the thematic legacy of Mortal Kombat’s fetish for secrets. It’s a great way to keep fans dialed into a game that might otherwise have been traded in long ago.